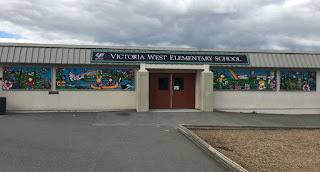 Do you have a student in grade 5 at Vic West? The following is from fellow Vic West parent, Mark Crocker. Sounds like a wonderful learning experience! - Women walk for hours to find the fuel. Mark Crocker fro New Hope Schools Society is here this week to show our grade five classes a simple stove design that is making a big difference in Haiti. On Tuesday Feb 27, Mark will work with the students to help them understand the problem of smoke as well as participate in building a smokeless stove together. Students will participate in building a stove together.